By turning on the light, a serene sound fills the space, creating a sense of calmness in a world that seems to travel faster than light. 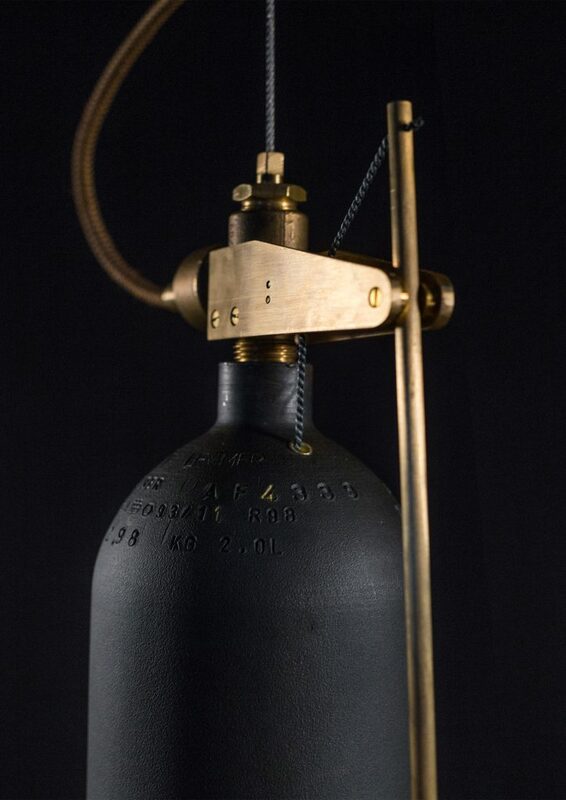 The Bellamp is created with recycled air tanks used by fireman to keep the pressure on their fire extinguishers. The production codes are still visible on the tanks. Following the codes, you can find the exact origin of your Bellamp. 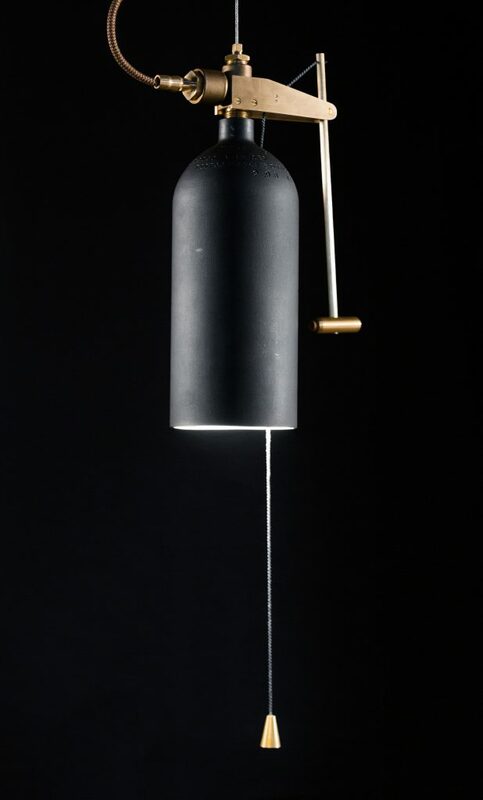 The belling sound is created by the brass hammer hitting the hollow tank. Due to the unique production method of the air tanks, the sound lasts longer than you would expect. 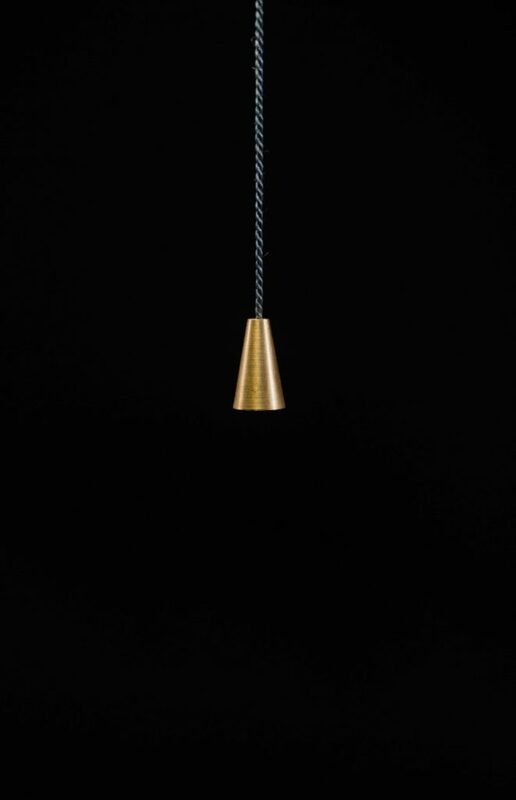 The Bellamp is designed by Akko Goldenbeld and exclusively available at Wdstck.